Extremely versatile "do it all" bike, capable on gravel or city roads. Fantastic looking bike with with retro lemon & black colour scheme. Double butted 4130 cro-moly with full carbon fork and disc brakes. 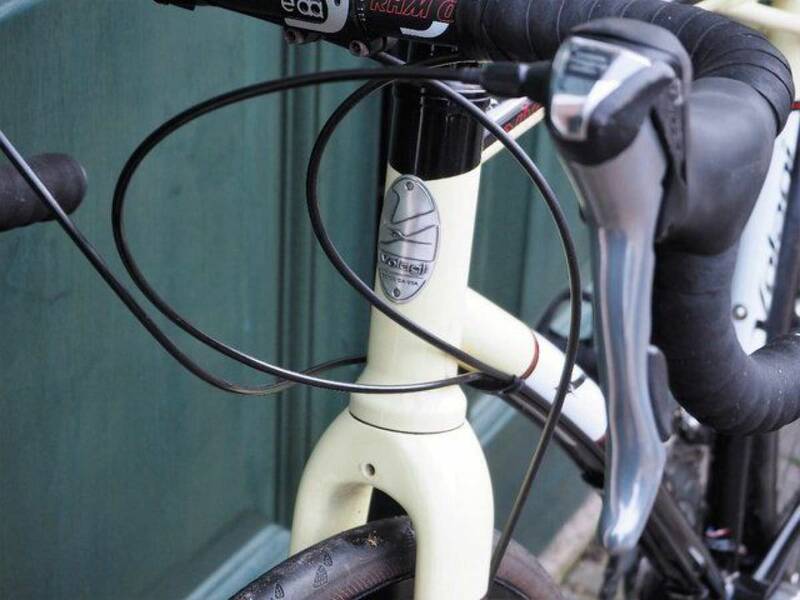 Mounting points for full mudguards and racks. 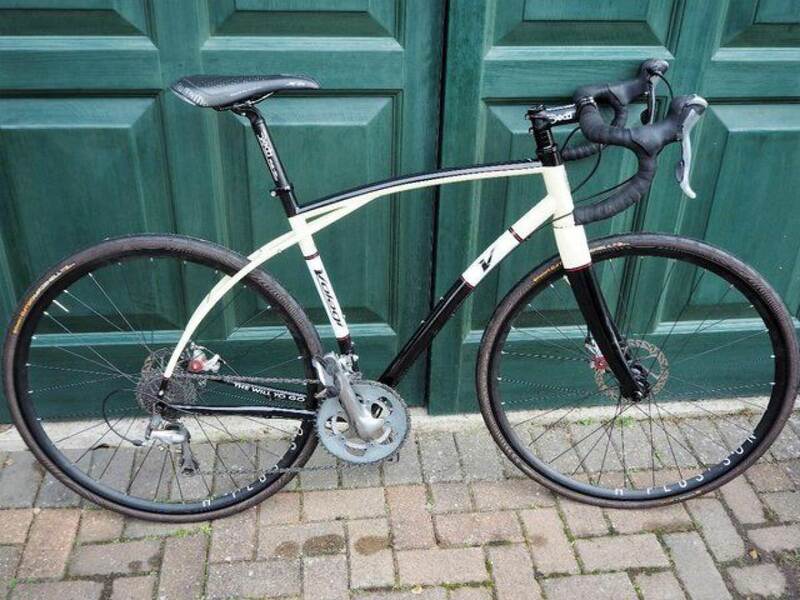 Fitted with Tiagra drivetrain, avid cable actuated brakes, disc specific rims and Hope hubs. 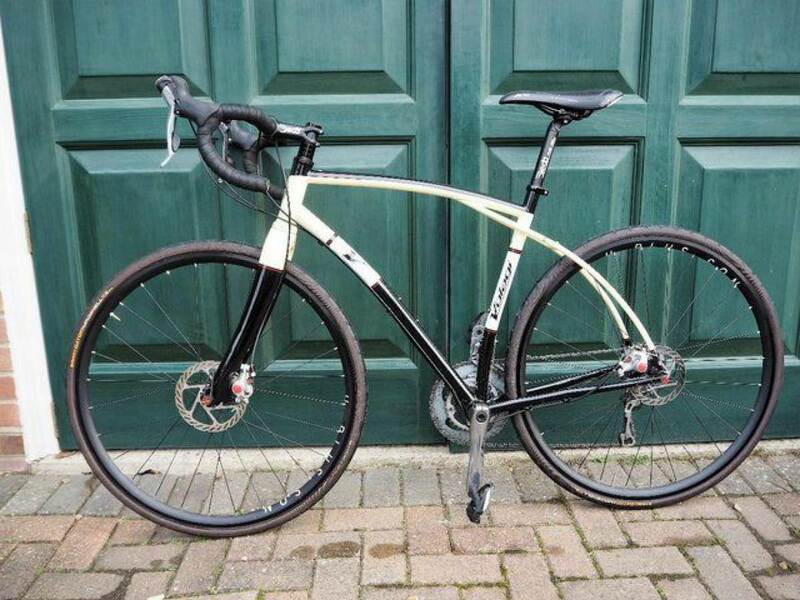 Supplied with conti slicks and I am also happy to throw in Schwalbe off road tires and mudguards. Any questions, please do not hesitate to get in touch. Located in Fleet, Hampshire - buyer collects.